Secure your spot now to watch epic boxing mega-fight between Floyd Mayweather and Manny Pacquiao at Revelry on Richmond on Saturday night, May 2, 2015 at 9pm. Mayweather and Pacquiao are finally facing off in the mega-fight that fans and observers have craved for years. The pair will square off in a head to head duel broadcast on Pay-Per-View from the MGM Grand in Las Vegas. Revelry’s standard dress code will be strictly enforced. Call Revelry on Richmond for any questions about their special viewing party for the Fight of the Century or to make your reservations. Admission: General Admission is $20 in advance. VIP tables with bottles are also available for 4 to 12 people starting at $350. Click here to order tickets or tables or call 832-538-0724. This spotlight story was sponsored by the Revelry on Richmond. 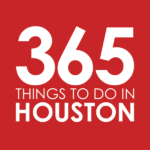 Per our sponsorship policy, we only accept sponsored content from businesses that meet our editorial standards and truly present a valuable activity, resource, or destination for residents and visitors across the greater Houston area. Click here to learn about promoting your event or business.